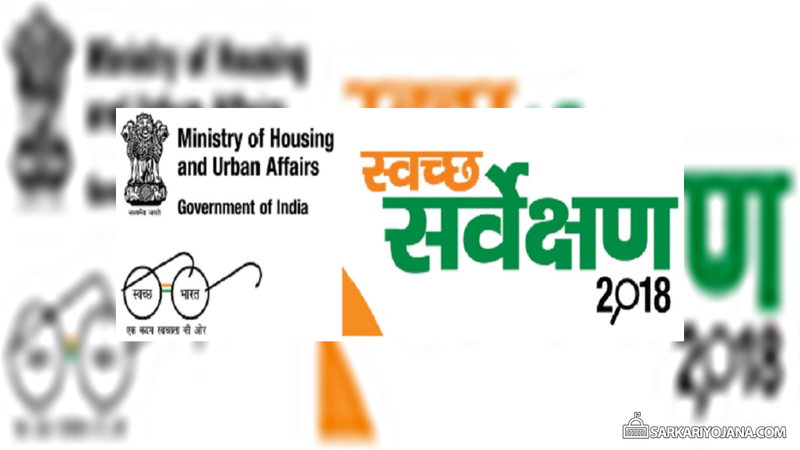 Ministry of Housing and Urban Affairs, Central government is going to commence Swachh Survekshan 2018 to promote cleanliness across the country. Subsequently, this is an extensive effort to spread public awareness and enthusiasm towards Swachh Bharat. Accordingly, all the citizens of the country can participate in this biggest competition of Swachh Survekshan to provide better ranks to their cities. This competition will cover all the 4041 cities and will take place between 4 January 2018 to 10 March 2018. This cleanliness competition is organized in order to promote the Central govt’s Swachh Bharat Abhiyan. Moreover, this Survekshan (Survey) will also provide learning opportunities to the people. 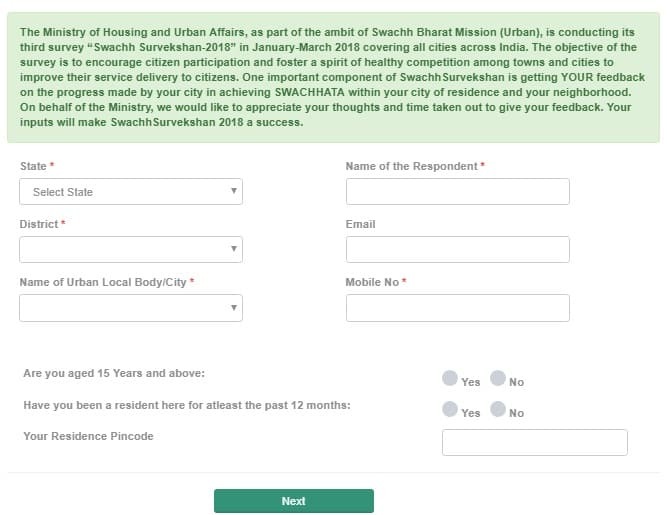 This survey will help people to understand the need of cleanliness and hygienic living conditions in their cities. Making people aware of the necessity of cleanliness and other development activities to promote hygienic living conditions. Educating the students about cleanliness. Subsequently, to construct sanitary latrines (toilets) for each family. To build public toilets at important junctions and locations for visitors who comes to visit particular city. Moreover, to construct separate toilets for men and women at all petrol pumps. The primary objective is to make the city Open Defecation Free (ODF). Here candidates have to fill all the necessary details accurately. Next candidates have to click the “Next” button to proceed to fill the Citizens Feedback Form. Finally, candidates ahve to click the “Submit” button to submit their feedback. — Collection and Transportation of Municipal Solid Waste. — Processing and Disposal of Municipal Solid Waste (MSW). — Progress in the Sanitation Field. — Innovation and Best Practices. Efforts taken by Municipal Bodies 35% Waste management, Open Defecation Free (ODF) Status, Swachhta related information, New ideas suggested by Urban local Bodies (ULBs) etc. This is the biggest cleanliness survey competition of the country. Subsequently, this cleanliness survey will cover all the 4041 cities in various districts across India. The starting date is 4 January 2018 while the last date for this campaign is 10 March 2018. Central govt. is inviting all the citizens to participate to make their city win. Accordingly, people can give their feedback for this cleanliness drive to turn it into a mass campaign. Moreover, this competition will spread awareness about the need of cleanliness and hygienic living conditions. Furthermore, this competition will help to fulfill the dream of Swachh Bharat till 2 October 2019. People should keep their streets neat and clean to make your city comes at the first place. Now this Swachh Survekshan 2018 has now shifted its focus from process and output based indicators to focus on outcome and sustainability. Central govt. will track progress of the cities keeping in mind long term sustainable solutions.